Named for the majestic native trees which grace the property, this enticing lifestyle property offers a respite from the hustle & bustle, while indulging all your senses. 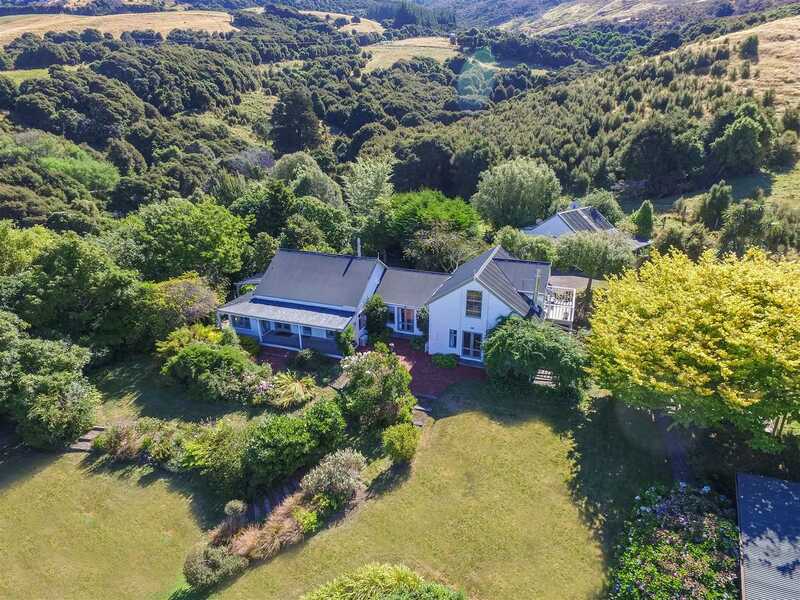 Overlooking the blue waters of Akaroa harbour, this idyllic retreat is a world away from the everyday, yet provides for all your creature comforts. The original homestead dates back to the 1860's but sympathetic architectural extensions and enhancements have expanded it far beyond its initial footprint, while retaining the charm and character. A separate one bedroom guest cottage (built in 1999, using gorgeous timbers and leadlight glass) accommodates extended family or lucky visitors. Compared to Middle Earth by one notable guest, it's not hard to imagine you have been transported to a magical world when you walk amongst the towering macrocarpas and dip your toes in the fresh waters of the bubbling brook. Set on 4.8147 hectares of rolling hills, there are 13 separate paddocks, well fenced for stock and with ample outbuildings for agrarians and collectors alike. The property has previously been run as guest accommodation and you may well wish to continue this tradition of hospitality, however the home would be equally well suited to any number of creative or domestic pursuits. Our serious sellers now relinquish "Kahikatea" with grace and gratitude. To explore the options and experience the magic for yourself, call me today.